Health publishing has become an enormous, specialised field in the healthcare arena. It covers everything from scientific journals and academic books to natural health magazines and consumer health newsletters. People who work in health publishing come from backgrounds as broad as the field itself. A person working in health publishing may have a degree in the life sciences that is very much laboratory based. They may even have a communications, English or business degree. The reason for such broad backgrounds is that health publishing content can range from the financial and business sides of healthcare right through to the technical, scientific content and consumer sides. 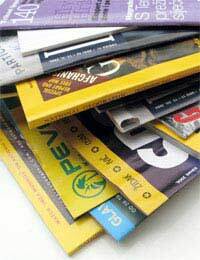 Magazine production is a major area in the field of healthcare. Magazines range from consumer fitness and natural health magazines to more scientific publications. Roles range from writing and editing to health advertising and printing. For many people, this area of health publishing starts out with less focus in terms of what they want for a career, but narrows down as they experience different roles. Journals with a health or nutrition focus are another area to consider. Here, you may be responsible to choose, evaluate and investigate submissions for the journal. You would almost always need a scientific background with good English skills to ensure that the submissions meet the formatting guidelines for publication. Customer newsletters are a part of virtually everything today. Whether it’s an internal one for a hospital or one to patients, the opportunities here are enormous. You may be entrepreneurial and work in advertising to publish these on behalf of health clients, or you might have this as an additional responsibility to another healthcare role. Health books are popular these days and the writers are quite diverse. Often, people working in another health career write them. The aim is to share their expertise within the field to a specific audience. Others may work for publishing companies, where they represent the authors of these books. Salaries are hard to pin down in this area because the roles are so varied. You might be working as an editor and making a high salary or you could be a new, freelance science journalist or health writer who is at the low end. Much of the salary will depend on your skills, motivation and ‘who you know’ to help you break into the field. As you become more experienced and build up your portfolio in health publishing, however, you can expect your salary to follow accordingly. For many people, they end up in a health publishing career after embarking on different health careers first. Often, working within a specialised side of healthcare first can help and will differentiate you from others in the field. For instance, a nurse may transition well to sitting on the board and being responsible for managing a union of nurses that involves a customer newsletter each month. Clearly, health communications roles are extremely varied. At the heart of any health publishing career, however, is a good understanding of communications and the ability to write or edit in a language and style that matches the audience. Certainly, many scientists are terrible writers! Ideally, talk to those already working in the field and look at an internship opportunity if you’ve finished your education. Health publishing is not an easy field to get into, which means that networking is particularly important here. But if you have a knack for communications and enjoy sharing health information, then this might be a rewarding career choice for you.